Industry Use: Power Generation – Fuel and Purge Air Valve. 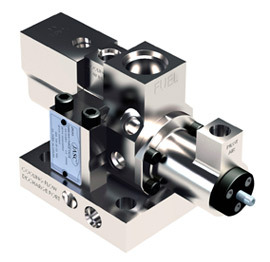 Our Water-Cooled Three-Way Purge Valve delivers fuel and purge air to the combustion chamber atomizers of a gas-turbine engine. 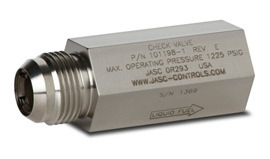 This valve can upgrade existing three-way purge valves to water cooling during refurbishment. 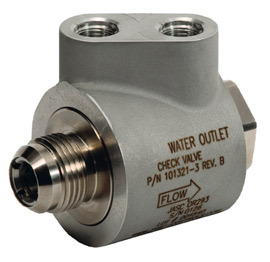 Unlike the standard version, this water-cooled three-way purge valve provides gas turbine owners operational capability and reliability to 95% or better and benefit from maintenance intervals that coincide with hot gas path inspections. 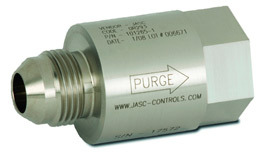 Read more about JASC’s Water Cooled Three-Way Purge Valve and view technical drawings.